Materials: Black and white emulsion paint. Art Monthly, 10 ¦ 2003. 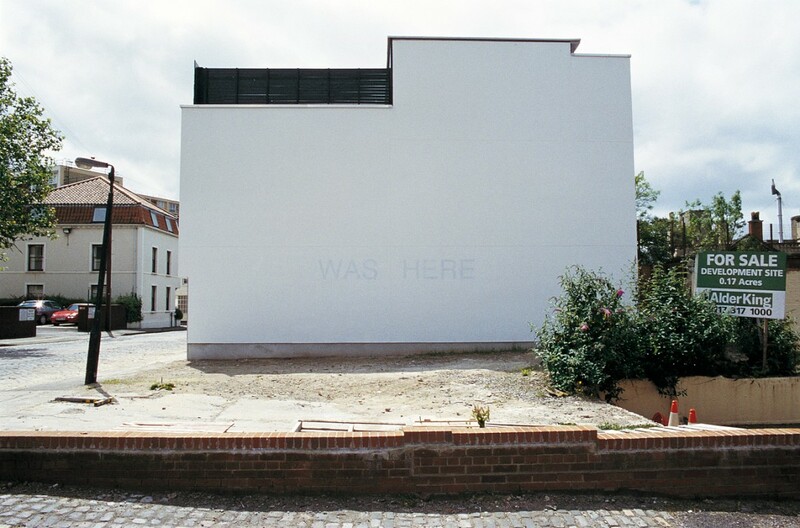 WAS HERE appropriates the language of graffiti, translating the personal to the architectural. A white wall of a new house overlooks an area which is due to be developed for luxury housing. 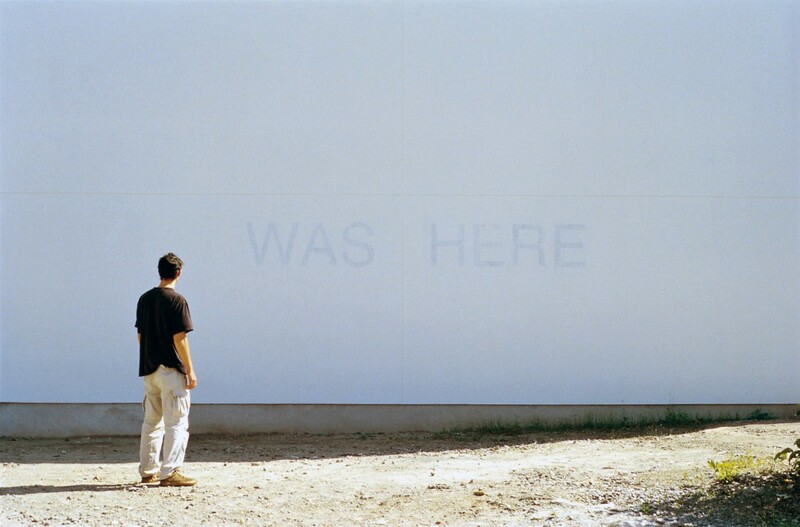 The text ‘WAS HERE’ is painted black on the white wall and coated or veiled in white. 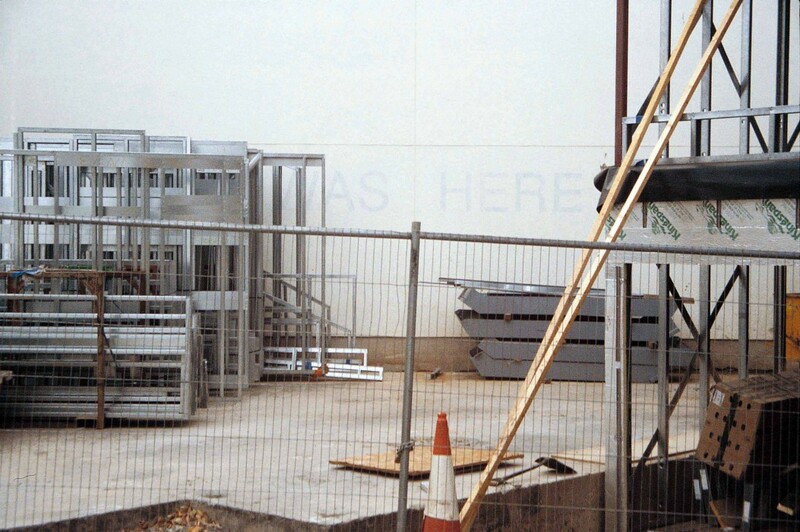 The text immediately provokes two questions from the passer-by, ‘who was here’ and ‘what was here’? 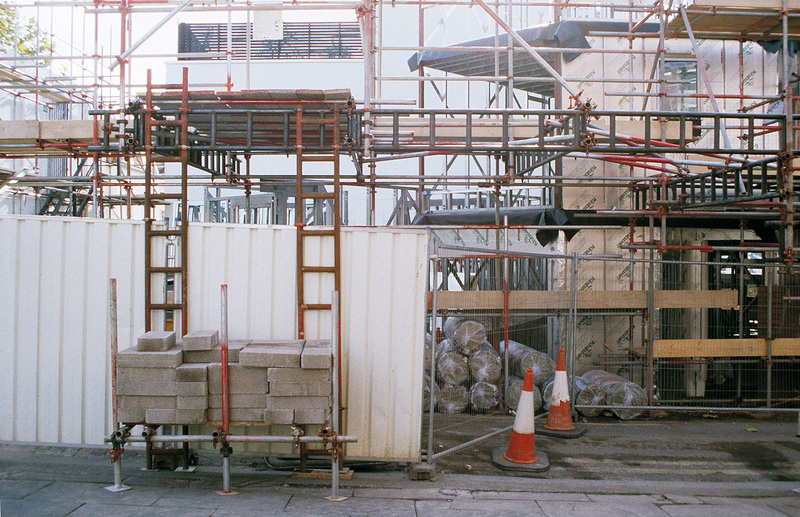 The development of the derelict site has encapsulated WAS HERE between party walls, its presence protected but not visible.